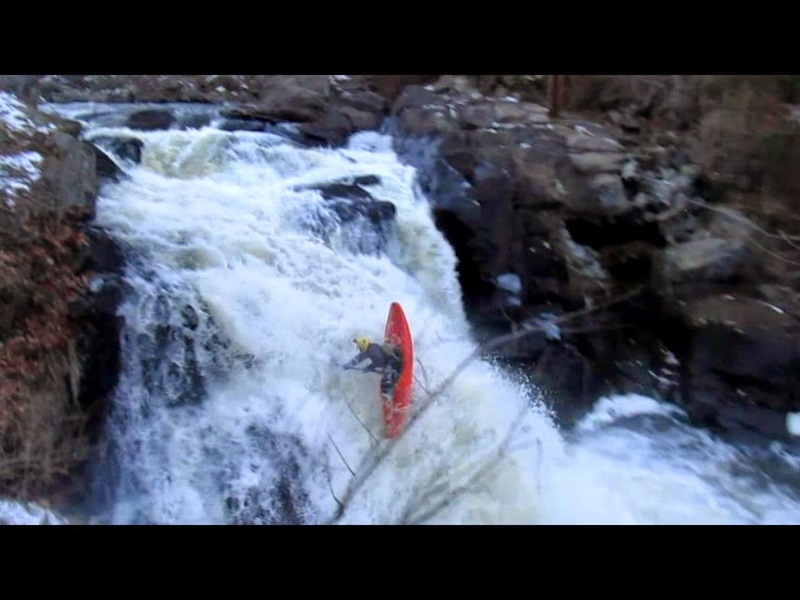 How to Freewheel By: Alex DePue | DBP MAGAZINE ONLINE The World's Best Free Whitewater Publication. This week, in my new weekly how to article series, I’m going to walk you through the freewheel. One of my personal favorite moves, the freewheel combines playboating with river running. It is essentially a cartwheel down a vertical drop. You can throw them on anything from a two foot tall pourover to a 30 foot waterfall. Before we get started lets talk about a few prerequisite skills. Before you try a freewheel, you should be able to boof, to double pump in a playboat, have a solid roll, and of course be able to easily run the drop you are going to attempt a freewheel on! When picking the drop you are going to first try a freewheel on, I would recommend trying it on a small drop around 5 feet or so in height that has a pool at the bottom, and not too bad of a hole at its base. Approach the drop like you are going to boof it, lining up for a spot where there is a good depth of water flowing over the lip. Take a few forward stroke and build your speed up coming into the drop. As you come to the lip of the drop, lean towards the side you are going to freewheel on. You should drop your edge maybe a foot or two before the drop. Keep on edge as your bow starts to clear the lip of the drop. As your bow begins to drop, put in a strong reverse pry stroke and look over your opposite shoulder to finish the rotation off the drop. While executing the pry stroke, you almost want your weight to be on your paddle and your paddle to be pushing off the lip, this will allow a fuller rotation. As your paddle clears the lip of the drop you are now in freefall. Depending on the size of the drop and the hole at the bottom you will do one of two things. Either pull your knees up into your chest to land flat, or tuck your body down and lean forwards to pencil in (rarely done). Thats it, congrats, you just freewheeled! One last important tip: You need to fully commit to the freewheel. If you try to bail last minute or don’t fully commit you are going to eat it. But that being said the freewheel is a very fun and dynamic move.